Smith Warehouse - Bay 4, C106 "Story Lab"
What's captured by and what's omitted from different approaches to popular protest? 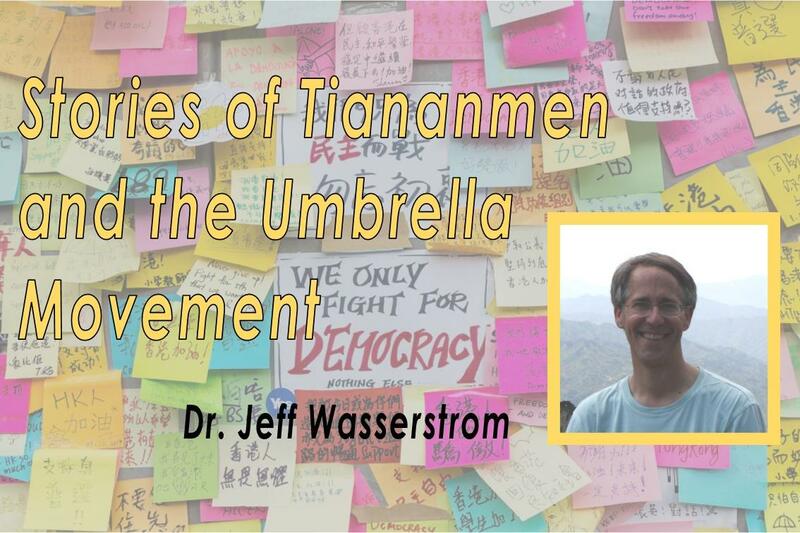 Join us as visiting historian Jeffrey Wasserstrom explores this question through the lens of Chinese mainland student struggles, notably the famous 1989 upheaval in Tiananmen and the more recent 2014 Umbrella Movement in Hong Kong, the latter of which he witnessed firsthand. Wasserstrom will discuss what it was like to write about these events in the modes of biographically focused works, scholarly analyses, and forays into reportage. Jeffrey Wasserstrom is the Chancellor's Professor of History at the University of California, Irvine. His latest book is China in the 21st Century: What Everyone Needs to Know. Copies available at the talk.